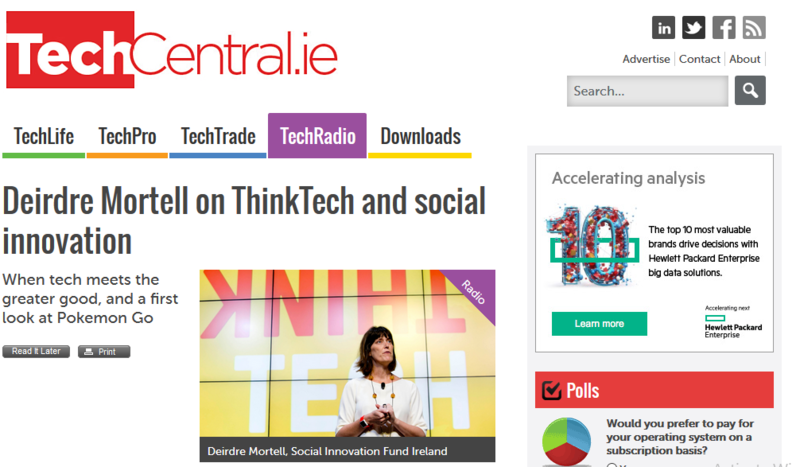 Listen here to Deirdre Mortell’s interview with TechCentral Radio which was also broadcast on RTÉ Radio Extra. Deirdre gives details of THINKTECH, a €1 million fund to support initiatives that use tech for social good. Interview starts at 8′ 00”. Deirdre is Connect’s Social Entrepeneur in Residence.